Diamond emerald choker, diamond emerald step haram and diamond vaddanam. 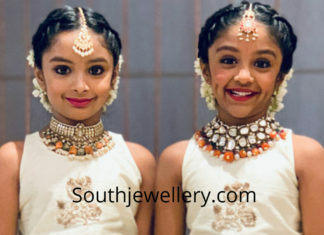 Manchu Vishnu daughters Ariana and Viviana in custom made polki diamond choker sets adorned with polki diamonds, pearls, emerald beads and coral beads by L. Bajrang Pershad Jewellers. 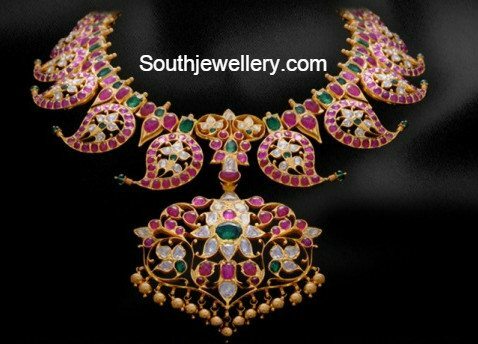 Nirvana Manchu in an antique ruby choker, two line gold necklace with small diamond emerald pendant & antique gold long chain studded with diamonds and emeralds. 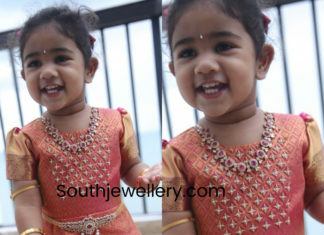 Allu Arjun daughter Arha in a diamond ruby necklace, diamond ruby waist belt and kasu gold bangles. 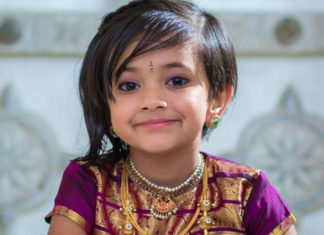 Pretty kid in a polki ruby choker, long kasu haram with ruby polki pendant and peacock nakshi vaddanam studded with rubies. 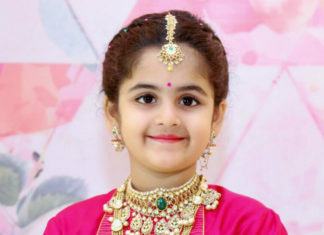 Polki diamond and ruby choker and two line polki haram. 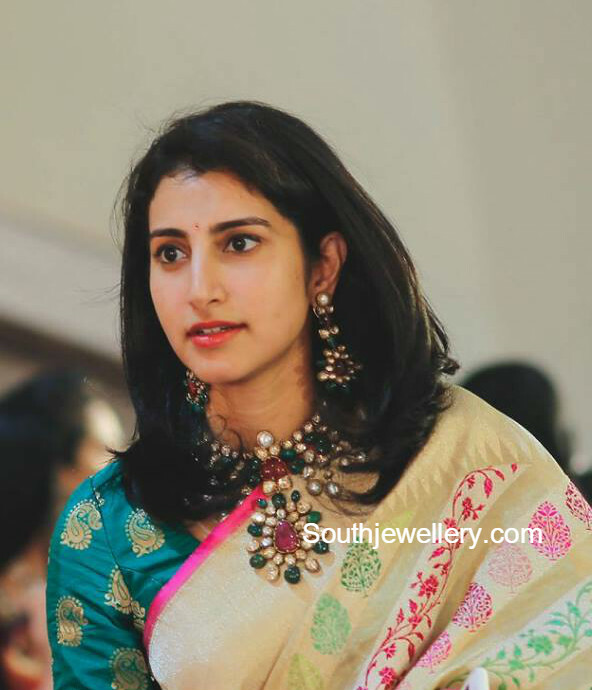 Samantha Akkineni in a polki diamond necklace paired with matching studs and south sea pearl mala by Kishandas & Co Jewellery.